We have millions of accounts in this day and age and we use different passwords for each one. So it isn’t a surprise when you forget one of the passwords. 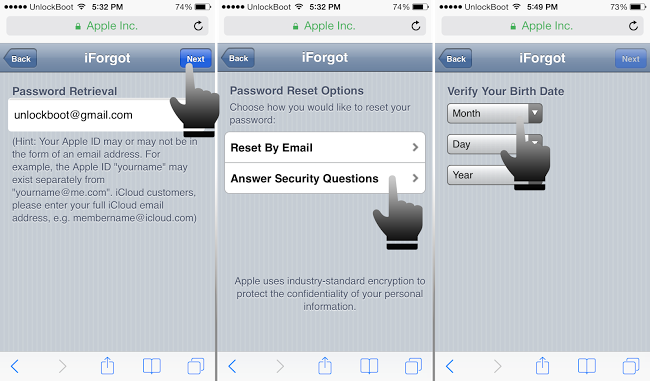 What happens if you don’t remember your iCloud account password? 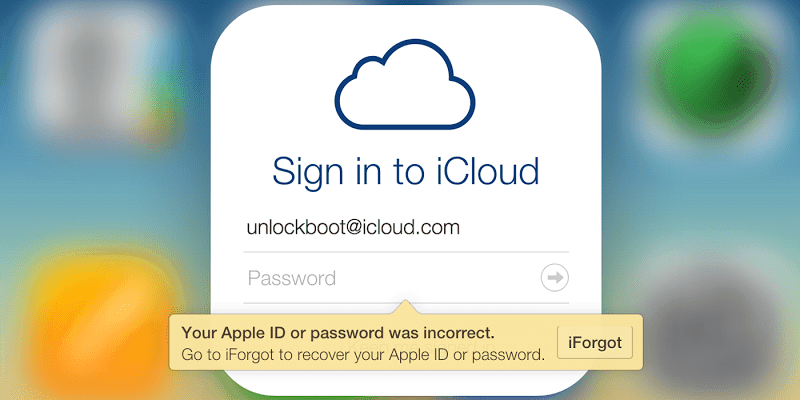 Now the best solution is to reset iCloud password or reset iCloud email for your account? There isn’t a need to worry as there are several ways to restore the access to your iCloud account if you forgot iCloud password or email. For starters, you can send a password recovery email to reset the password of your iCloud account or use the other iCloud password recovery options. Step 1: Open Safari web browser on your device and enter ‘iforgot.apple.com‘ in the bar. Step 2: ‘Enter your Apple ID’ and ‘Forgot Apple ID’ will be the next options. Select the first one. 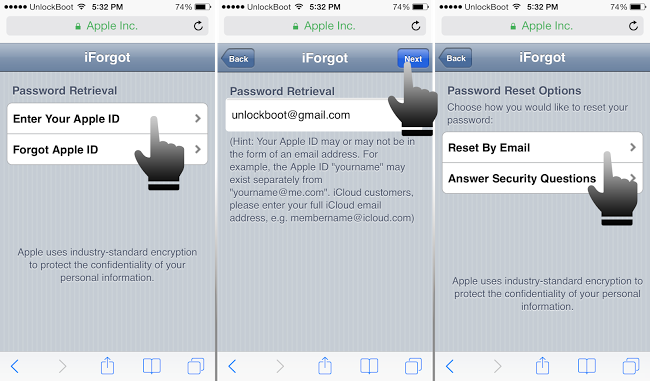 Step 3: Once you enter your Apple ID, select ‘Reset by Mail’ from ‘Password Reset Options’ for iCloud password reset. Step 4: The email will be sent tab will appear. 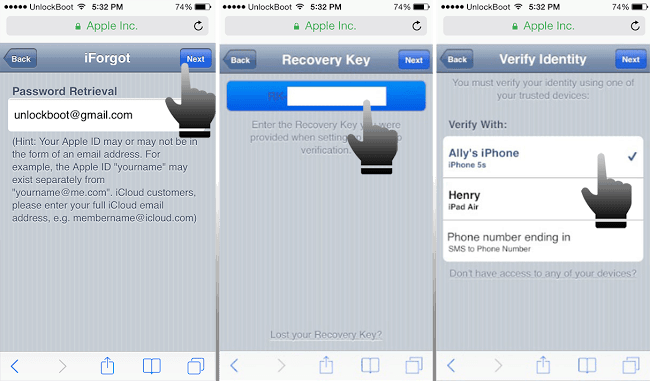 See the recovery email to your Apple ID and follow the instructions to reset iCloud password on iPhone or iPad. Step 2: Now enter your Apple ID email and then tap Forgot Apple ID. Step 3: After entering the email ID, choose ‘Next’ from the top right corner. Step 4: In case you can’t access the email, select the option of ‘Answer Security Questions’. Step 5: Verify your date of birth to move forward. Step 6: After answering all the security questions, select ‘Next’. Now you need to choose your new password and tap done to complete the procedure. Now you can login with the same email and the new password. Step 2: Enter your Apple ID email then click on the Forgot Apple ID link. Step 3: After that, tap the ‘Next’ button from the right corner. Step 4: Enter the recovery key given to you and select ‘next’ from top right. 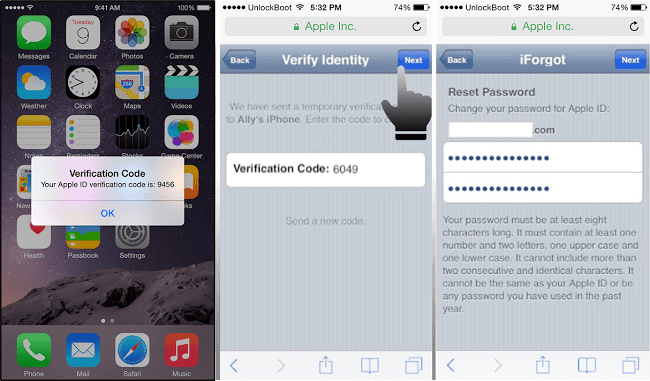 Apple Inc provided the key to you for the verification of your device. Step 5: Verify your identity with a trusted Apple device and select ‘Next’ from the right top. Step 6: Enter the verification code and select ‘Next’ again. Step 7: Choose a new password for your Apple ID. Then you can use the new password to sing in on your iDevices. Now you’ll receive a confirmation from Apple regarding password change. Go to Settings app -> iCloud -> Get a free Apple ID. Enter your birth details and select ‘Next’ from top right. Choose to create a new iCloud account and select ‘Next. Select the details on the page if you have created a new iCloud email and select ‘Next’. If you’re using a current email then check your email and confirm that it is your email. 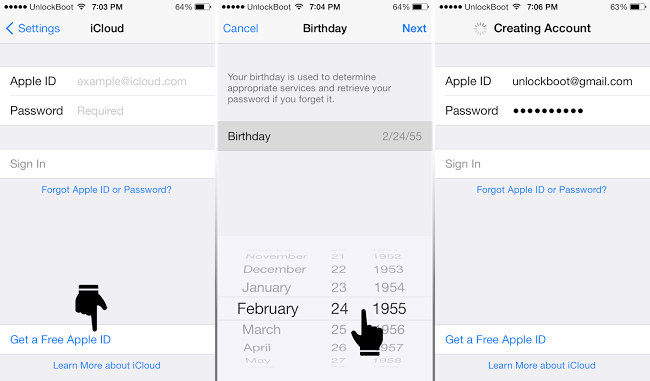 Choose a new Apple ID / iCloud password. Use alphanumeric password to make it difficult to guess for hackers. We are recommending to create a new iCloud/Apple ID from your Computer using iTunes. It’s easy process and you don’t need to enter your credit card. If our tutorial above was not clear enough for you, you can watch our video below that explains the whole procedure to reset your iCloud password quickly. Call the iCloud Password reset support on this number: 1-855-550-2552 and ask them to reset your password. You will need to verify your identity and provide a proof of purchase of the device. Read the full tutorial here.